I gave my friend a lift home from the train station today and just I was parked up I spotted a man walking two lovely dogs. When I started talking to him I realised that I recognised him and one of the dogs; it was beautiful Daisy from Day 88. They lost another dog last year and they waited a few months until they got another one and beautiful Ebony came to live with them. 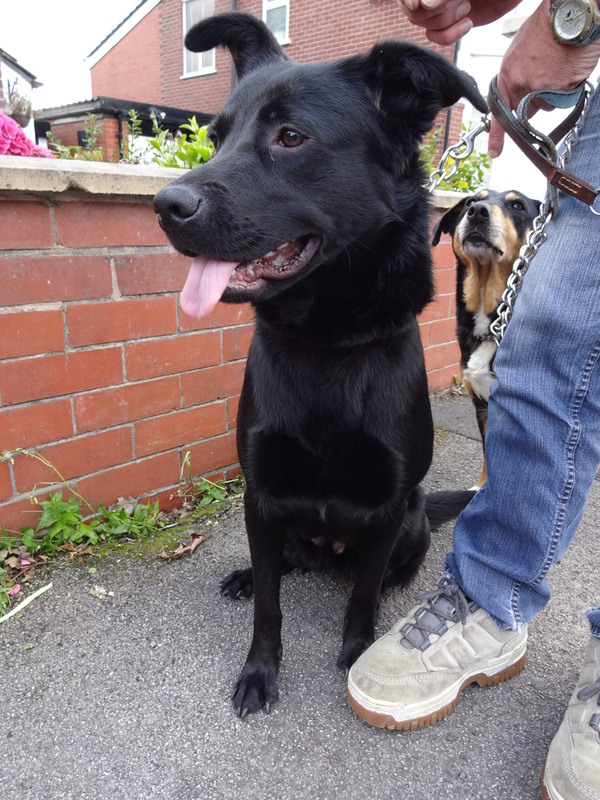 Ebony is such an excited happy girl, she’s got a lovely big smile! Her and Daisy get on well despite Ebony always stealing her ball! Favourite toy: Ebony has had lots of toys which she rips apart. They have discovered that her favourite thing to play with is a rolled up ball of socks which she likes to chew and tug!